I graduated from Asbury in 2018 as a member of the Vindicated Class. During my four years as a student, I majored in English and Spanish and minored in Creative Writing. Asbury not only gave me an excellent formal education, but it also played a powerful role in my growth as an individual. Now, I am so excited for the opportunity to carry my love for this University into my work as Admissions Staff Assistant. 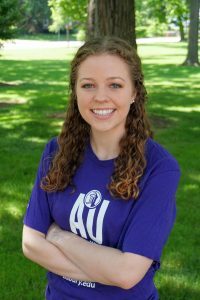 I would love to tell you more about my Asbury experience and help you explore how our community can become part of your story as well!